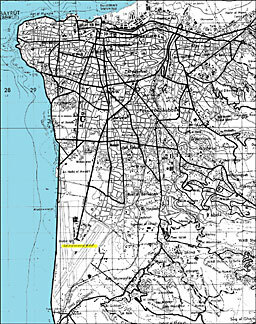 Map 1: Beirut and its environs. Relatively little traffic was observed in the early morning hours on the airport road which runs between Beirut and the airport terminal. This road is just west of and runs parallel to the MAU compound. The Marines had been warned to be alert for suspicious looking vehicles which might, in fact, be terrorist car bombs. 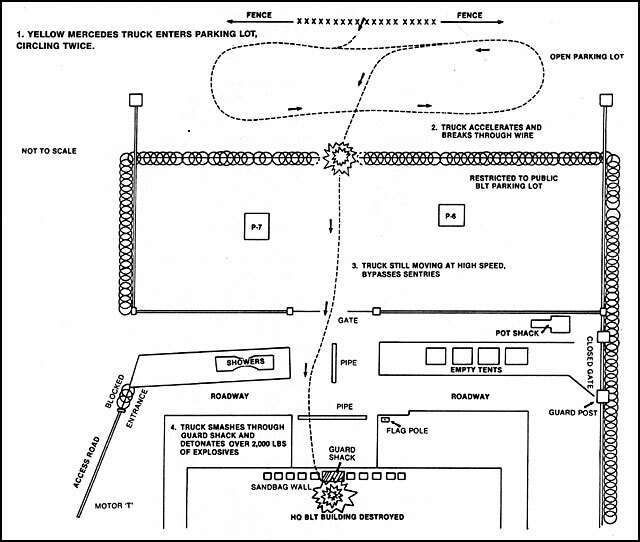 And so Lance Corporal Eddie A. DiFranco, manning Post 6 (See Figure 1), one of the two posts in front of and south of the building housing the headquarters compound and attached elements of BLT 1/8 (Battalion Landing Team 1/8, built around the 1st Battalion, 8th Marines), closely watched a yellow Mercedes Benz stake-bed truck, which entered the parking lot south of his post. The truck circled the lot once, then departed, turning south at the gate and heading towards the terminal. 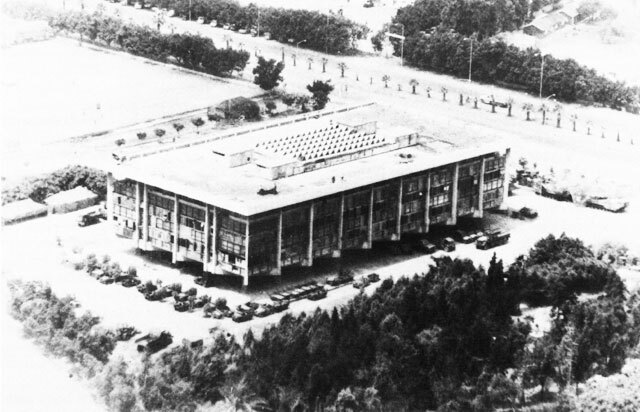 A low oblique of the BLT headquarters building, before the October bombing. 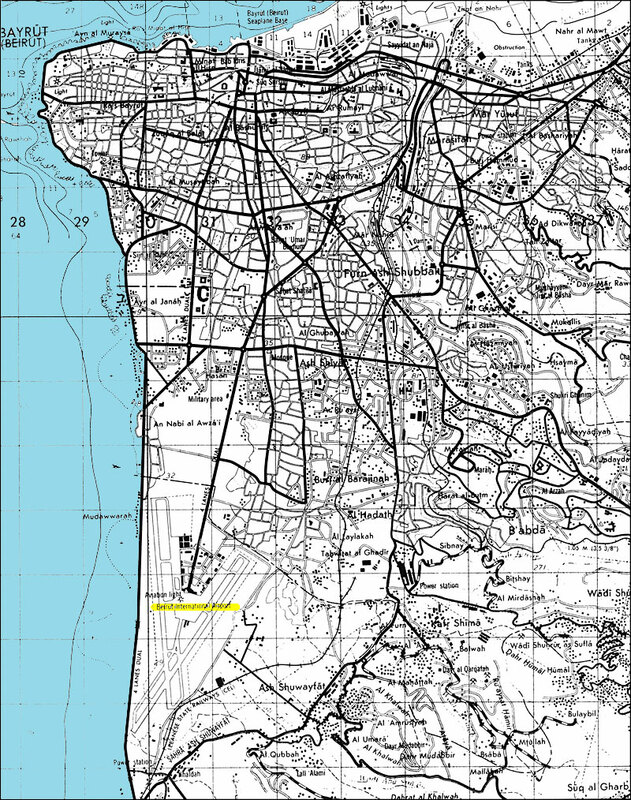 Figure 1: Sketch map of the route taken by the terrorist bomber on the morning of 23 October 1983.
between Posts 6 and 7 into the lobby of the building, where it detonated with the explosive force of more than 12,000 pounds of TNT. Manning Post 7 was Lance Corporal Henry P. Linkila, who heard the truck as it sped across the concertina fence. He inserted a magazine into his M-16 rifle. He chambered a round and shouldered his weapon, but could not fire. The truck had already entered the building. 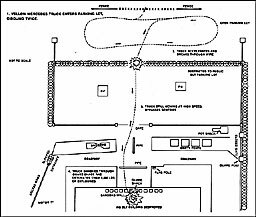 Lance Corporal John W. Berthiaume was guarding Post 5, at the fence just below the southwest corner of the BLT headquarters. He correctly guessed the truck's mission but could not react in time either to fire at the truck or to take cover in his guard bunker. He was knocked to the ground by the explosion. Sergeant of the Guard Stephen E. Russell was at the main entrance of the building at his post, a small sand-bagged structure that looked toward the back entrance of the building, when he heard the truck as the driver revved up its engine for the dash into the lobby. Russell turned to see the vehicle pass through the permanent fence encircling the compound, and head straight for his post. He wondered what the truck was doing inside the compound. Almost as quickly, he recognized that it was a threat. He ran from his guard shack across the lobby toward the rear entrance, yelling, "Hit the deck! Hit the deck!" Glancing over his shoulder as he ran, he saw the truck smash through his guard shack. A second or two later the truck exploded, blowing him into the air and out of the building. Severely injured, Russell regained consciousness and found himself in the road outside the BLT headquarters with debris from the explosion all around him. The front entrance of the BLT headquarters building in August 1983 when occupied by BLT 1/8. The truck bomb entered at the point where the jeep is shown parked. more than 300 men, and detonated. The explosion had collapsed the BLT building, reducing it to rubble in seconds. When the last body had been retrieved from the ruins and the final death count had been tallied, it reached a total of 241 Americans.this number, 220 were Marines; the remainder, Navy medical personnel and soldiers assigned to the MAU. For the Marines, this was the highest loss of life in a single day since D Day on Iwo Jima in 1945. The suicide attack by a single terrorist changed the course of American presence in Lebanon. 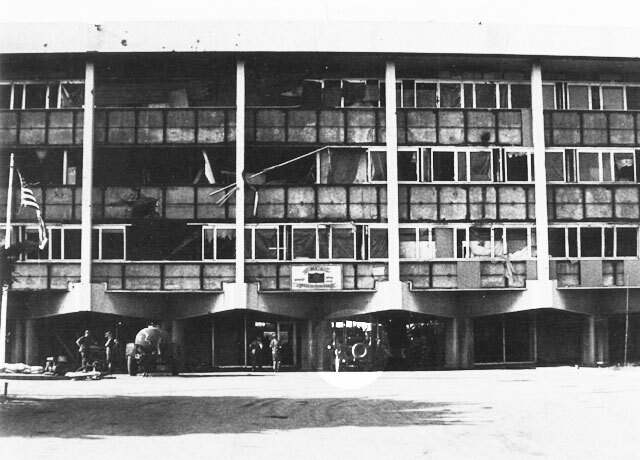 The rear (north) side of the BLT building immediately after the bombing. The material for most of this section was derived from Report of the DOD Commission on Beirut International Airport Terrorist Act, October 23, 1983, dtd 20Dec 83, pp. 84-88, hereafter Long Commission Rpt. SSgt Randy Gaddo, "Beirut Bombing," Leatherneck, Feb 84, p. 16.